Dr. Prabhat Kumar Upadhyay received the Ph.D. degree in Electrical Engineering from the Indian Institute of Technology (IIT) Delhi. He joined IIT Indore in May 2012 as an Assistant Professor in the Discipline of Electrical Engineering, where he has been an Associate Professor since December 2017. He has also been leading a Wireless Communications (WiCom) Research Group, which is intended to conduct fundamental and applied research to cater to the emerging needs of the next generation wireless communication systems. His current research interests are in the area of wireless and mobile communications, and include cooperative relaying techniques, cognitive radio, and multiple-input multiple-output (MIMO) systems. He has numerous publications in peer-reviewed IEEE journals and conferences, and has authored a book and a book chapter. He is serving as a reviewer for a number of international journals which includes IEEE Transactions on Wireless Communications, IEEE Transactions on Vehicular Technology, and IEEE Communications Letters. 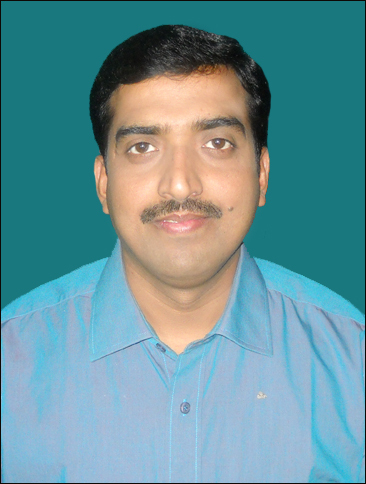 Dr. Upadhyay is a Senior Member of the IEEE and Life Member of the IETE. Dr. Prabhat Kumar Upadhyay has been working as an Associate Professor in the Discipline of Electrical Engineering at IIT Indore since December 2017. From May 2012 to November 2017, he has worked as an Assistant Professor in the Discipline of Electrical Engineering at IIT Indore. Previously, he was associated with the Electronics & Communication Engineering Department of BIT Mesra as a Lecturer/Assistant Professor.